Before coming to Korea I had reserved my tickets for one musical and one Kpop concert, It's funny... you can't restrain your kpoper blood. So, I just had one day to remember how to use the subway, read maps in Korean and try to get around by myself. Actually I did very well, I got to Jamsil very quickly and then I just followed the bunch of fans I knew they were going to the same place. There were two dates, I chose to go to the last concert of their world tour, I don't regret going even though I wasn't a Baby yet. Guess what? Now I love them. A lot of foreigners! They are getting pretty famous out there, and what surprised me the most was their fans, they don't have chants, instead their use whistles, I like the noise they made, always in harmony with their songs, I really regret not having one of those. It's sad that the place wasn't completely full, but it didn't matter and the show started. 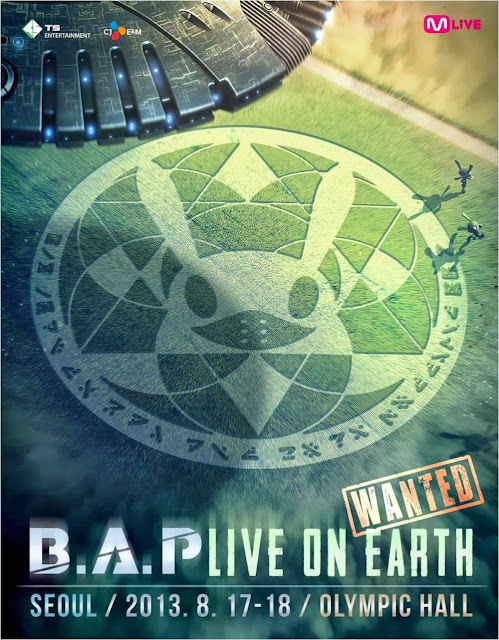 The introduction of their concert is so nice, explaining about the planet and the Matokis, and then their spaceship landed on Earth, Literally!! a spaceship slowly went down the stage and B.A.P came out from it! How can I describe their concert!? I don't have words! It was absolutely perfect! Their music and the show of lights they have is so vivid that make you enjoy every damn second of the concert. I remember I kept smiling the whole concert, I was absolutely happy, they make me happy, I love their energy that spread all over the place. My favorite songs? I can't choose, all of them were perfect, but I love Zero and One shot. 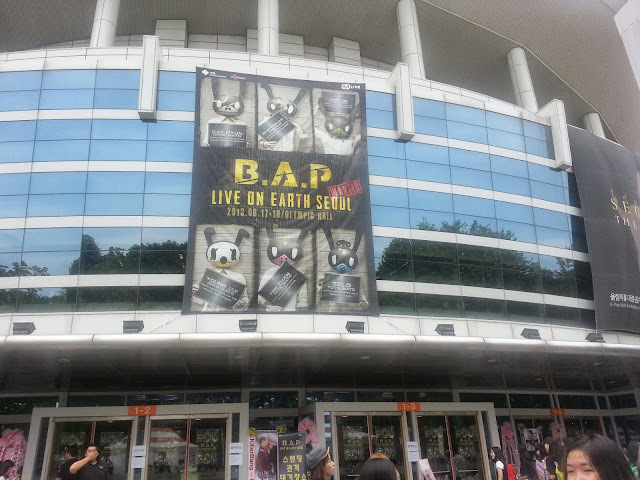 Conclusion: You MUST go to a B.A.P concert! !